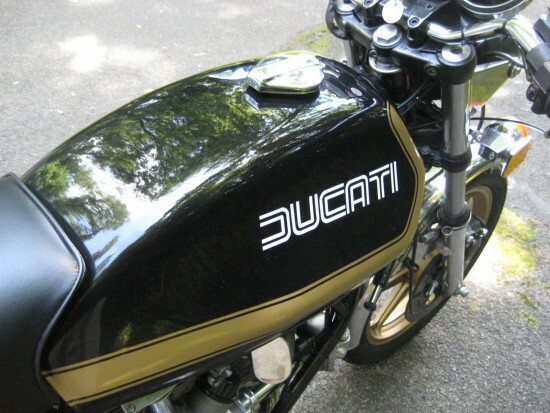 The Ducati Darmah was just about the end of the line for Ducati’s bevel-drive v-twin motorcycles, aside from a handful of Hailwood Replicas and S2 models, before the move from gears and tower-shafts to simple, rubber belts. 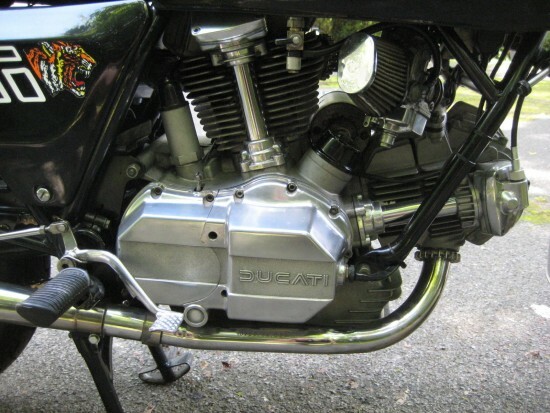 The change made plenty of economic sense but, while the Pantah engine is considered one of the most charismatic engines of all time, it certainly isn’t as good-looking as that earlier Ducati powerplant. The Darmah was introduced in 1977 to replace the unloved 860GT and has a definite 70’s Superbike vibe about it, with the upswept tail and wide bars looking much more like the Japanese competition than the angular, futuristic 860. But unlike those bikes that offered comfort and straight-line speed, the Darmah could hustle through the turns on its Marzocchi suspension and pull up short with its Brembo brakes. 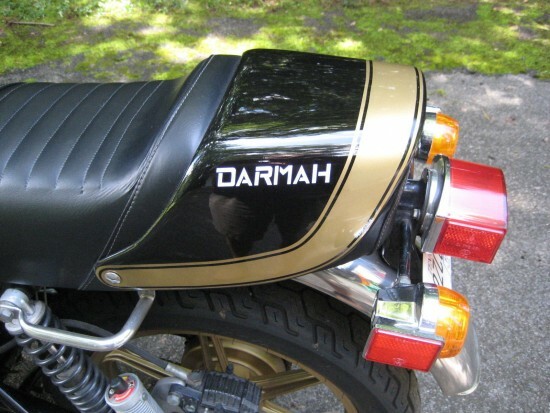 And it wasn’t just about style: the Darmah included evolutionary updates to the basic platform to improve function that included an electric start and a redesigned shift lever that did away with the cobbled-together crossover previously used to convert the bike to left-side shift. Combined with the comfortable ergonomics and torquey v-twin, those changes made for a very appealing package for folks who want to ride, rather than just admire their motorcycles. Very nice Darmah here. I also have the Silentiums that it came with, the pipes on it are Stainless. Always maintained to a high standard. Valves set, new chain and sprockets, clutch plates, steering head bearings, tires and cables. Calipers rebuilt and stainless front brake lines added. 1981 models are actually rare in the US and you get some nice features for this year: FPS wheels, stronger transmission, upgraded clutch and the motor is exactly the same as the 900SS version. That means you get the SS rods (beamed) and the wide stud heads with larger ports. Earlier versions did not have these features, using 860 rods and small port heads with narrow stud spacing. Everything works and the bike is the smoothest Ducati I have ever ridden with a perfect riding position. Seat has been recovered with new padding and it is comfortable. Bike also has the excellent Marzocchi shocks these came with and they are smooth and leak free. Same with the forks. Paint is perfect and the tank is sealed with Caswells. Factory seal is in place on the cases. No leaks, no crashes, never dropped. 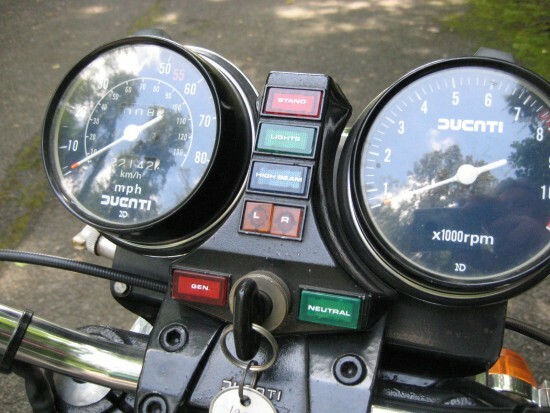 Shift lever has been shortened to fit a size 12 foot – or smaller. Backs of the mirrors show wear and one of the headlight ears has a spot in the chrome that is flaking – shown in the pictures. You can buy a cheap one and spend more than this bike costs to get it this good. This is not my first Bevel and I have owned multiple versions since 1980. Nobody has ‘learned’ to work on a bike that owned this. 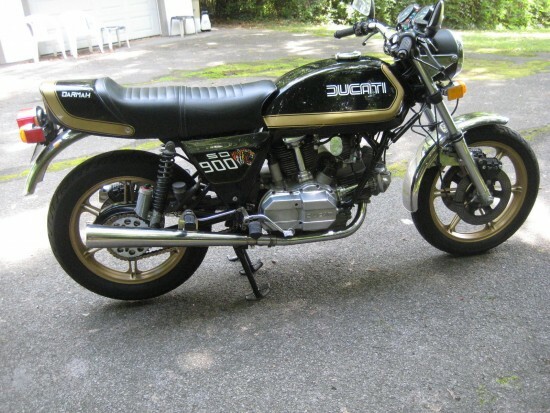 I am an old man and have taken very good care of the bike, never planning to sell it. It is part of a collection that I planned to keep forever. A current massive construction project is forcing the issue. I have an open title for it and can give a bill of sale also. Buyer is responsible for shipping. If you want one of these, buy this one. I could have bought several of these in the $6-7k range a few years back. Damm! 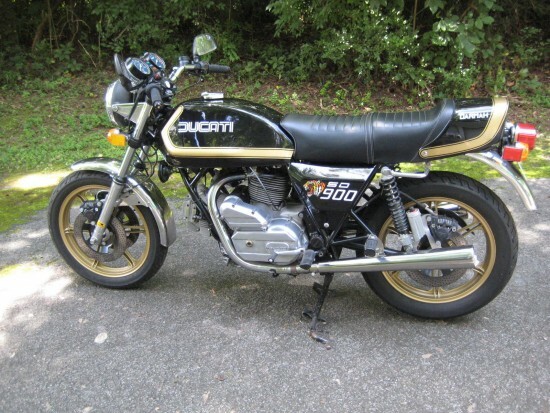 Oh jeez, between the Moto Guzzi 850 Le Mans that sold for $5,500 or so when I first fell in love with them, to the Maserati Ghibli that used to sell for $25-30k, I do have my regrets as well!